Sometimes I feel like the only old articles I post are DJ Harvey ones but maybe that has just been recently but we’re not running the fan club honestly. I don’t even get the guru thing as I said before. I just think he’s a good bloke who stuck to his guns, throws a great party, likes top leftfield music and disco and luckily in life gets to DJ on top of Japanese rooftops, and on fine soundsystems, and get paid well. Fair play to him. 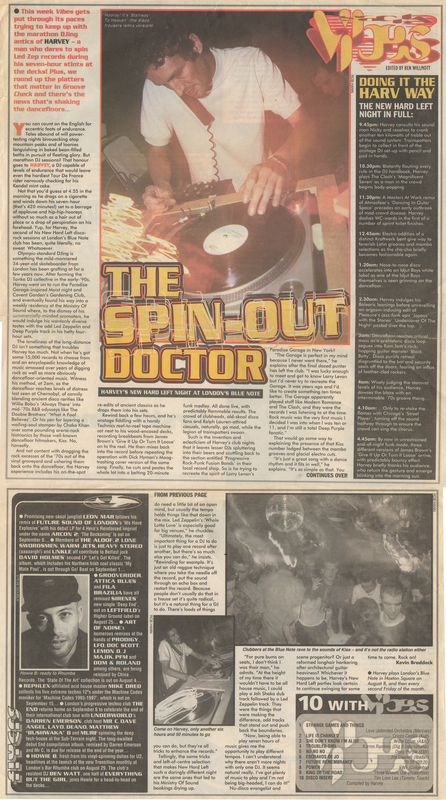 So this one comes from the NME around ’97 or ’98 when the New Hard Left was going strong and was written by journalist and all round good chap Kevin Braddock. Thanks to Andrew McColgan of Racket Racket.